Does your skin feel stretchy in an uncomfortable way? Do you flinch silently when you smile because it hurts? 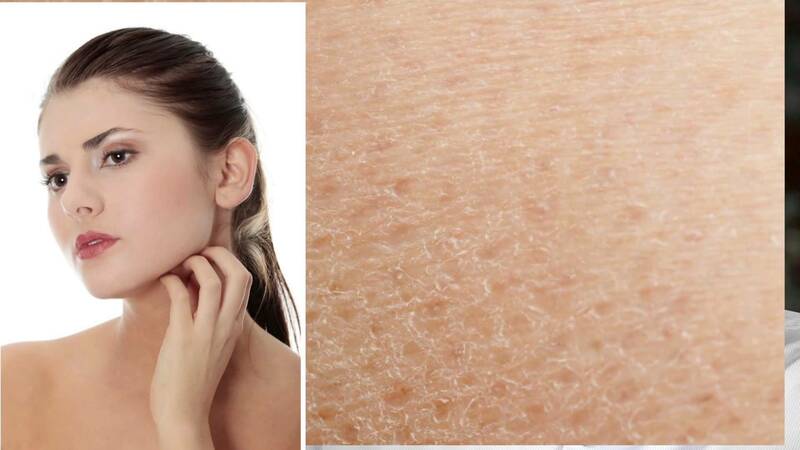 Congratulations, you have very dry skin! If you happen to be like me, your skin is dry enough for you to be able to play a nice little game of tic-tac-toe on it! But, as funny as it might sound, dry skin is one of the most difficult things to deal with. Having dry skin and forgetting to moisturize it is the biggest mistake you can make. Sorry to hurt you, but no, you are not allowed to get away with failing to keep your skin moisturized. The next time you do this, you will be punished with three more rounds of tic-tac-toe on your skin, okay? There’s dirt all around you, agreed, but it certainly doesn’t mean that everything dirty is going to fly and stick to your face. Therefore, quit washing it too often, because you’ll not end up having clear, glowing skin – your skin will be patchy, dull, and as dry as a desert! If you think dabbing powder on your face will cover up those dry lines, then there’s breaking news for you. Nope, it won’t. It will leave your face looking very dull and sad. Also, they draw unwanted attention to the dry lines on your face and tend to settle in the lines, making your makeup look uneven. You could very well opt for a no makeup look, provided you haven’t forgotten point no 1. Soaps are a great way to get rid of all the bad stuff that’s sticking to your skin, right? Wrong. Harsh soaps tend to make your skin extremely dry, making it flaky, stripping it of its natural oils. Instead, opt for glycerine-based soaps and use only when needed. Many of us are guilty of this. Not drinking enough water means your skin will get dehydrated, contributing to more dryness. If you have dry skin, you should have plenty of water so that your skin gets adequate hydration naturally. Go, gulp down that glass of water that’s been sitting there for hours! Hot showers irritate your skin and dry it out. Even though this doesn’t mean you should switch to cold showers and freeze, there are two things you could do to help your dry skin. Either reduce the temperature of the water or limit your shower time. Hot water kills your skin’s ability to fight dryness, which is why even though you might like it hot, it does harm your skin a lot. Oh, that rhymed! Most toners tend to have a little bit of alcohol, at least. However, what you need to understand is the fact that even though it evaporates from your skin quickly, it takes the little moisture left in your skin with it. So, if you are taking skin care seriously, avoid alcohol. Hey, we are just talking about not applying it on your skin, not about what you can gulp down, so it’s not very difficult! Cheers! If you think oil-based makeup will add a little bit of ‘oil’ to your skin, you are wrong. These products might claim to fix your dry skin, but in reality, they only make it worse. They clog your pores and do not allow your natural oils to reach your skin, making it very dry. Doing these things is going to hurt your skin. So, do whatever you want, but stop making these mistakes right now! Show some love to your skin because it deserves it. Nisha is very passionate about writing and loves to share her views with the world. She has written numerous articles on yoga, fitness, beauty and wellness, and remedies. She loves to keep herself updated by reading articles on different blogs, which fuels her creativity and helps her write appealing articles. Previous articleWhere are the Women Coaches in Youth Sports?